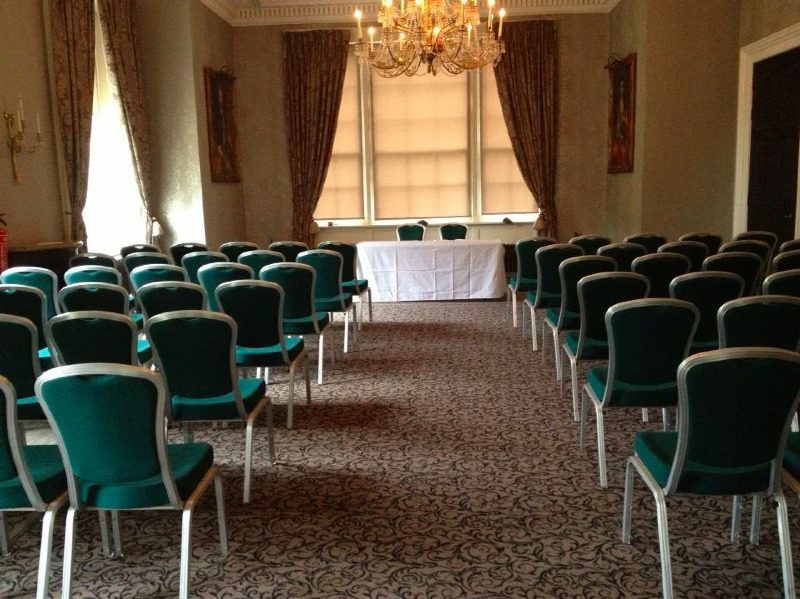 Oulton Hall is situated on the outskirts of Leeds, close to Rothwell and just a mile or so from the M62. The Hall has a fasinating past, but it is now a rather lovely hotel, spa and golf resort owned by De Vere. 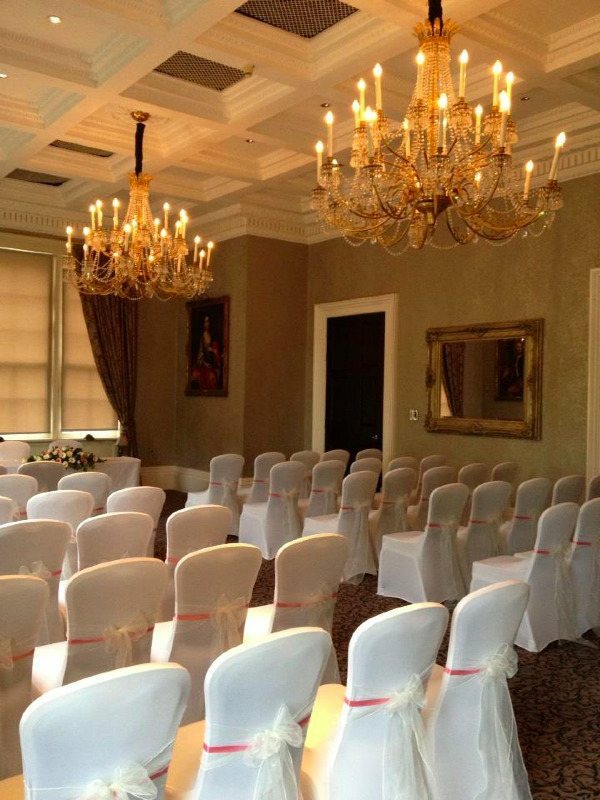 The two main function rooms are the Repton, and the Oulton Suite. 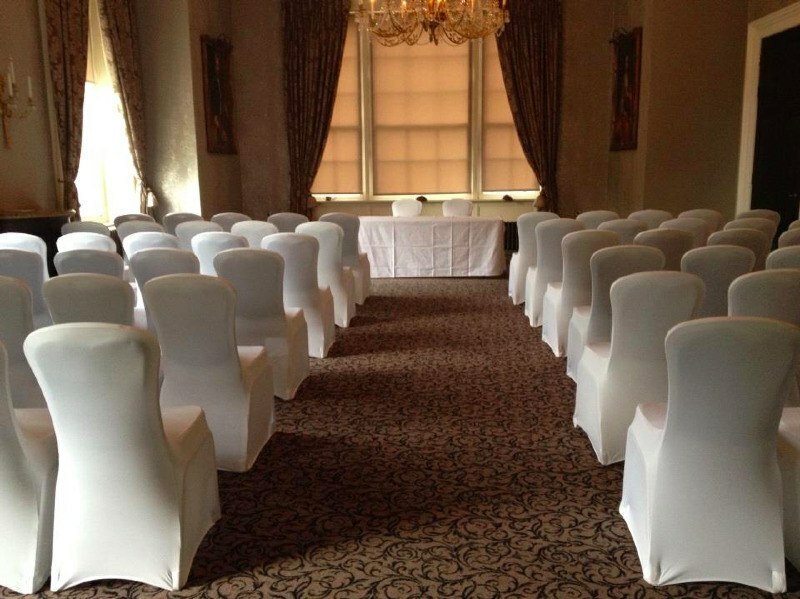 This particular wedding took place in the Repton, which is a beautiful room over looking the hotel's formal gardens which were originally designed by Humphry Repton. 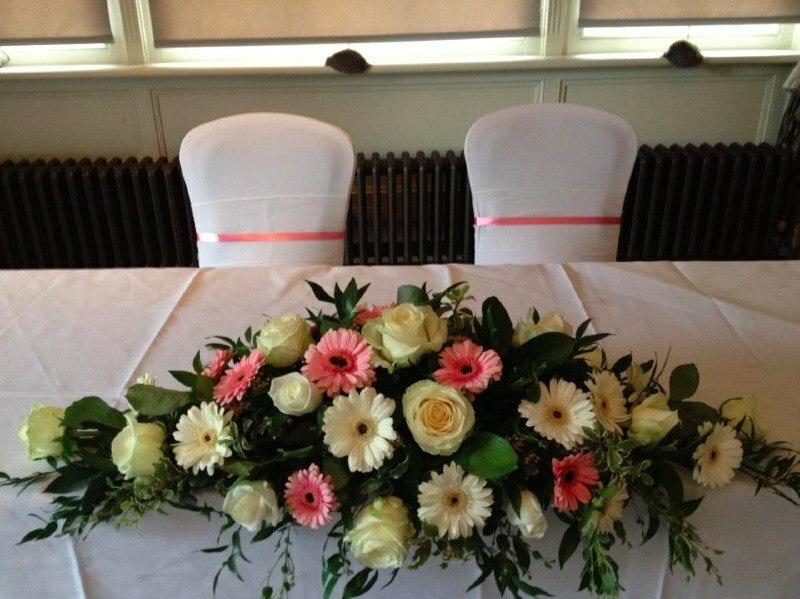 For this wedding we used our white stretch chair covers with ivory organza bows, and dusky pink ribbon bands. I took the following photographs of each stage of the fitting process, to show what a difference each element made. This was one of the first weddings we did with the ribbon bands and I was delighted with them, they are a great way to add a touch of colour in a subtle, elegant way. As you can see, the ribbon was a perfect match to the flowers!Unfortunately I don't know who the florist was for this wedding, but the flowers were very pretty. I had a lovely time setting up this wedding, the staff at Oulton Hall were friendly and professional as always. I'm looking forward to going back soon! 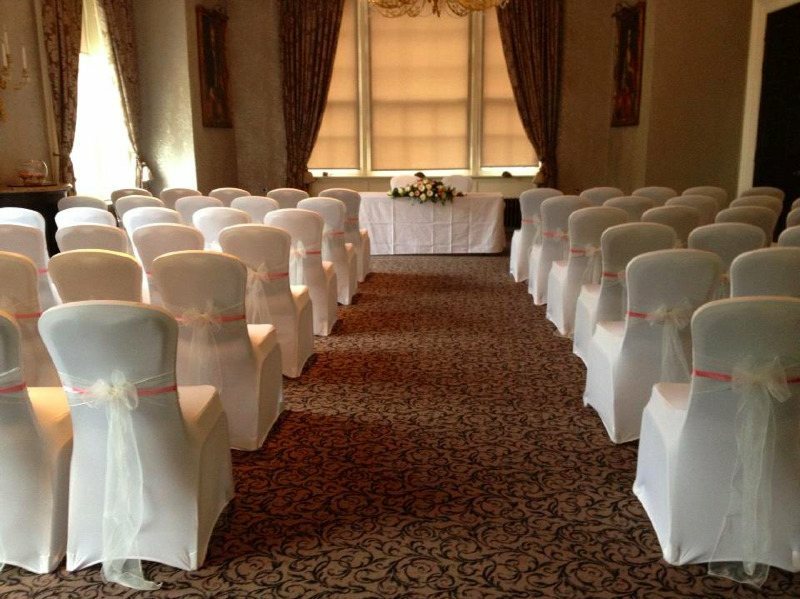 If you are getting married at Oulton Hall, it's worth me pointing out that as Leeds is not that far from my base in Pontefract there is no delivery or collection fee to pay for weddings here. 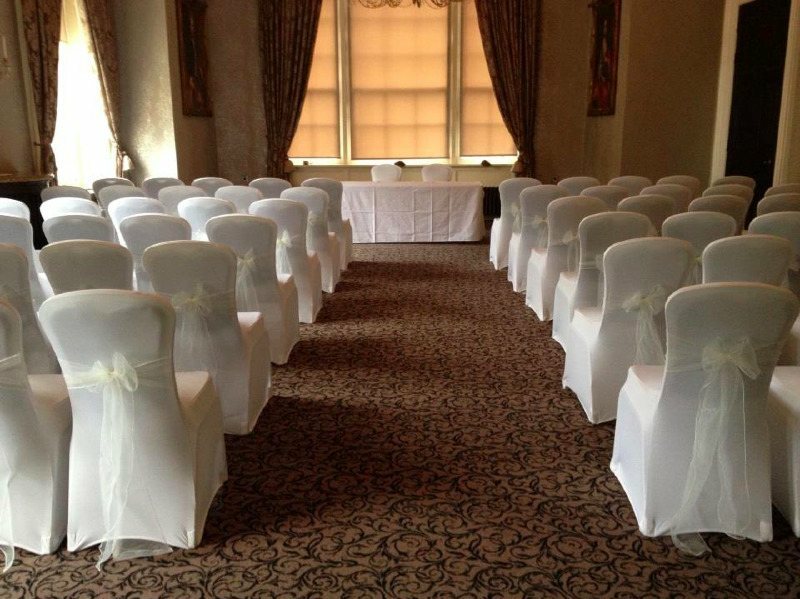 The cost of similar chair dressing for your wedding (white stretch covers, organza bows and ribbon bands) would be £2.75 per chair.